SA Rugby president Mark Alexander says they are close to adopting a draft system that will assist the Cheetahs and Kings with improving their squads. Former Springbok and Bulls flank Arno Botha has signed a one-year deal with Irish club Munster. Cheetahs director of rugby Franco Smith believes having South African teams playing in Europe will benefit the Springboks in the long term. 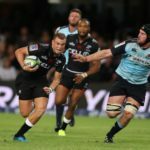 The makeup of the two seven-team conferences in the expanded Pro14 will be based on the standings of the final log last season. 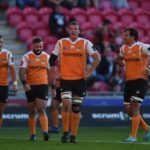 The Cheetahs’ imminent entry into a restructured Pro12 competition is set to initiate a coaching restructure. CRAIG LEWIS reports. 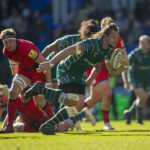 Italy's Pro12 clubs Treviso and Zebre are concerned that the Cheetahs and Kings could replace them in the tournament from next season. Kings scrumhalf Rudi van Rooyen says a lot of South Africans would rather play in the Pro12 than Super Rugby. 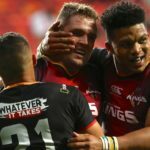 SA Rugby CEO Jurie Roux has confirmed the Cheetahs and the Kings could play in more than one European competition next season.